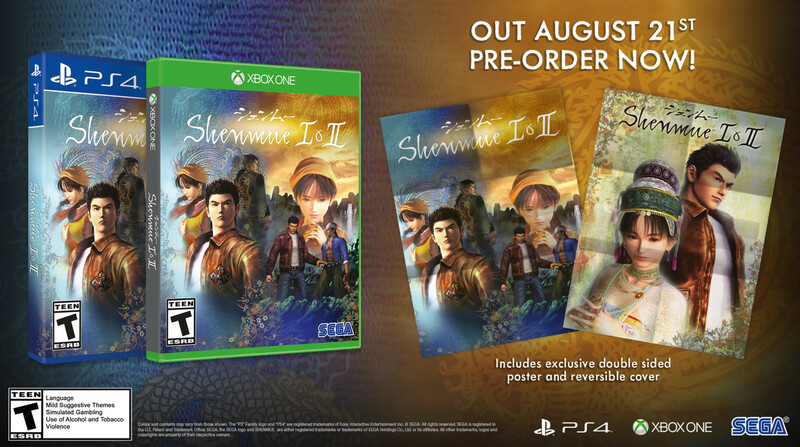 SEGA has announced that Shenmue I & II will release on August 21, 2018. The game is set to release worldwide on the same date for PlayStation 4, Xbox One, and PC. You can check out a new trailer for the HD remasters below. Those who pre-order the game will receive a special double sided poster with the game. The game’s cover will also be reversible.